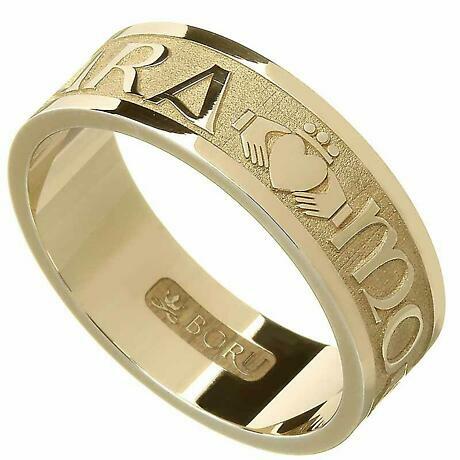 These beautifully crafted Irish Rings features the words "Mo Anam Cara" which is Irish/Gaelic and means " My Soul Mate". 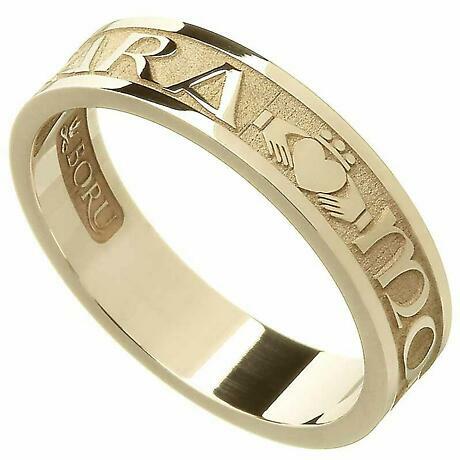 It also features little Claddagh designs between the words and the Claddagh symbol of hands holding a crowned heart is the symbol of Love, Loyalty and Friendship. 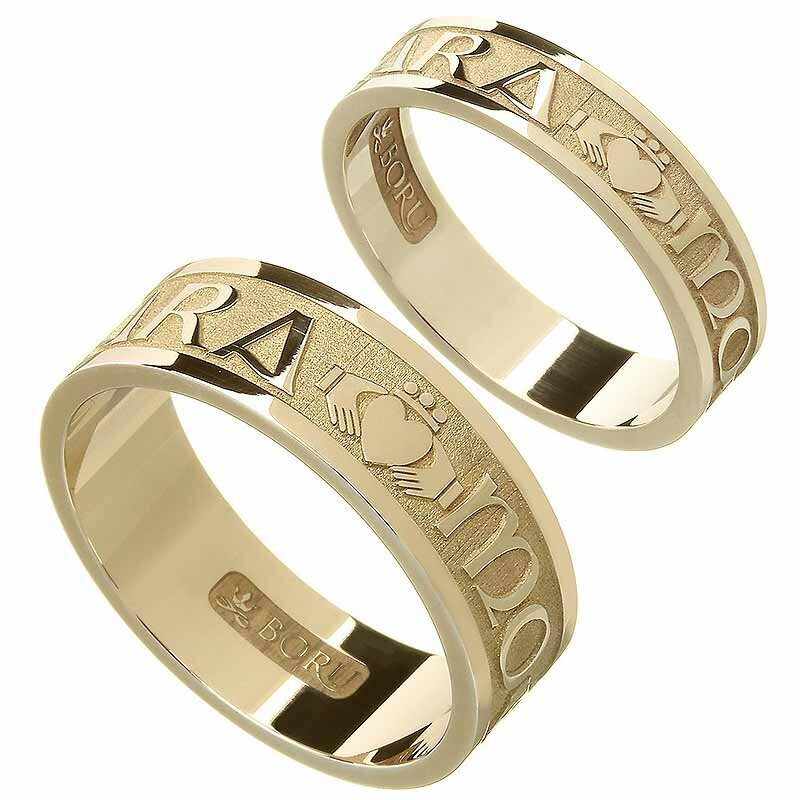 The width of the ladies ring is 6.2 - 6.3 millimeters (1/4 inch) and the width of the men's ring is 7.3 - 7.4 millimeters (just over 5/16 inch). 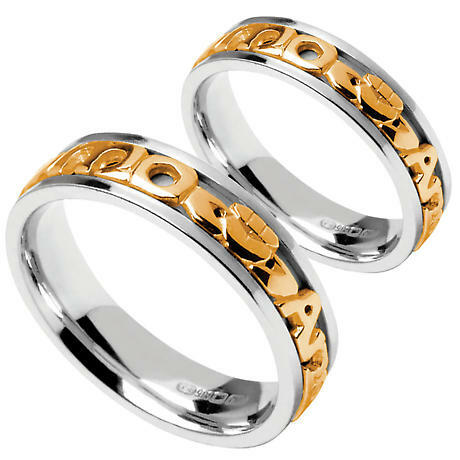 This wedding ring set is made to order. Please allow approx. 10-14 working days for this item to be completed. Men's sizes 9-13 (including half sizes). Ladies sizes 4-9 (including half sizes).